MBK Cykler is one of the many, many Danish brands of bikemakers. What I like about them is that they are one of the best at marketing bicycles for a mainstream crowd. These three photos were from their 2009 website and their current site for 2010 is much the same. 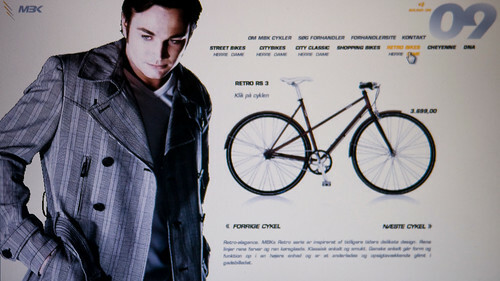 They choose to show photos of regular citizens in regular clothes and a selection of bicycles that are designed to compliment their lifestyle. They're saying what we often say, "Open your closet and it's filled with bicycle clothes. Now all you need is a bike." 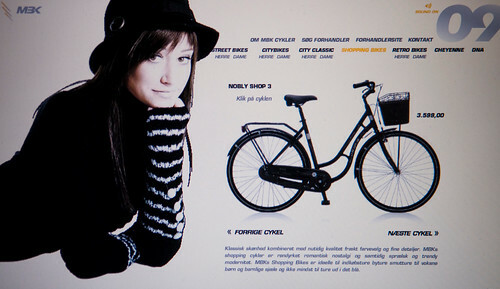 MBK Cykler is the proud winner of the Copenhagenize Bicycle Marketing Award of Excellence for 2009. If such an award actually existed, of course.